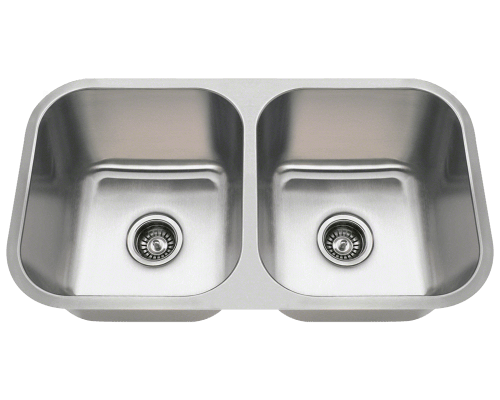 Shop MR Direct's Huge Selection & Find Great Deals on Utility Sinks! Durable enough for any household chore. At MR Direct, we sell sinks and accessories for the modern household. 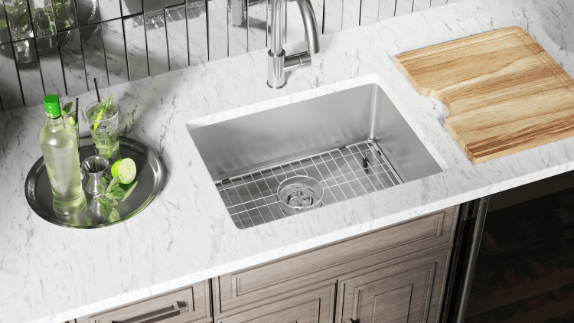 Whether it’s a sink for the kitchen, bathroom, laundry room or bar, we have you covered with top quality material sinks at an affordable price point. 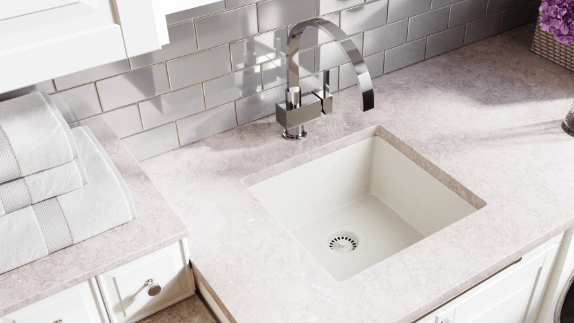 With sleek clean lines and durability, our bathroom, kitchen and utility sinks will help to bring your house into the future and stand the test of time. 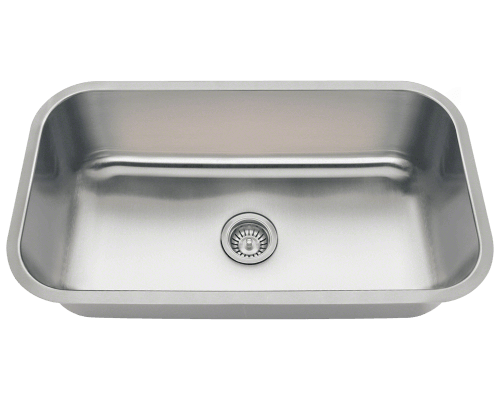 For a standard style stainless steel utility sink, the 3218C Single Bowl is a steal at $99! This model is a respectably large size at 32 ¼ inches wide, 18 inches across, and 9 ¼ inches deep. The undermount installation highlights the beauty of your countertop and keeps your surfaces sanitary with a simple wipe down. 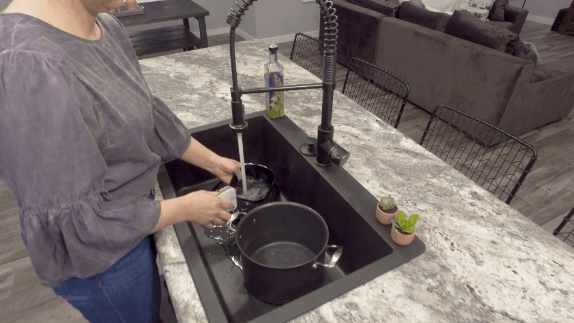 Available in either the classic 18 gauge or the sturdy 16 gauge, and with a beautiful and forgiving brushed satin finish, this sink is durable enough for any household chore you throw at it. 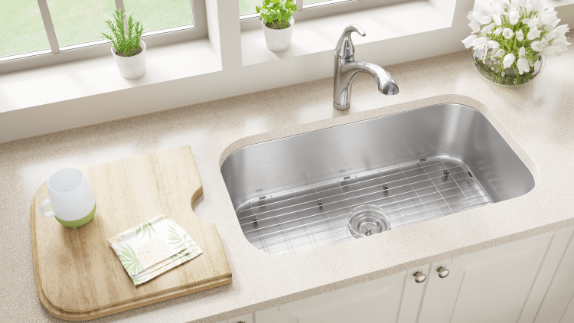 If you’re looking for a utility sink on the smaller side, either for a small laundry room, the bar or as a secondary kitchen sink, the 1823 Single Bowl is just right. 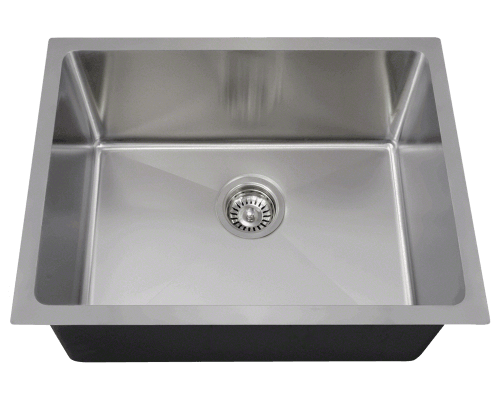 Tiny but mighty, this sink comes in at 23 inches wide, 17 7/8 inches across, and 9 inches deep, with the option of three different gauges of brushed satin stainless steel, including the industrial 14 gauge. At only $90, this cute little sink is just too good a deal to pass up. 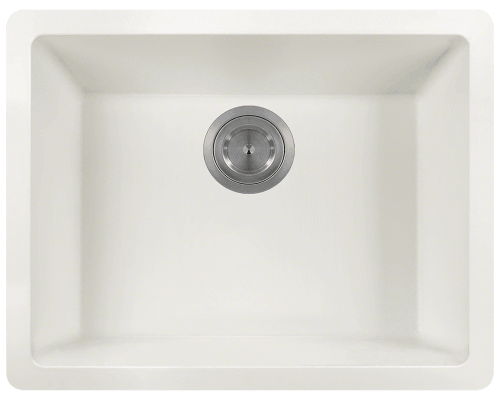 If you are more interested in a matching look, the 808 White Single Bowl will guarantee to match your utility sink with cabinet and countertop. The modern undermount style keeps things easy and sleek. This gorgeous composite granite sinks comes in 6 different neutral granite tones, so that no matter what, your kitchen or laundry room can make a bold statement. Composite granite is a practically indestructible combination of quartz and acrylic. Stain and scratch resistant, non porous, and antibacterial; compare this $189 price to other sinks of its kind and the choice will be obvious. 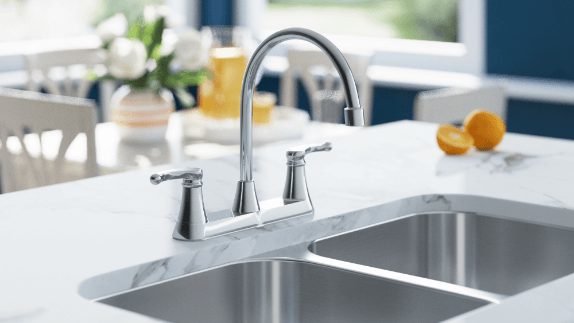 For a modern and stunning utility faucet, MR direct offers many options, but the 7142 Double Handle Faucet is a deal almost too good to be true at only $69. It has two different finish options and an elegantly curved spout, making it a beautiful and functional addition to your sink. Just like all of our sinks, all of our faucets come with a lifetime warranty. Shop Shop MR Direct's Huge Selection & Find Great Deals on Utility Sinks!